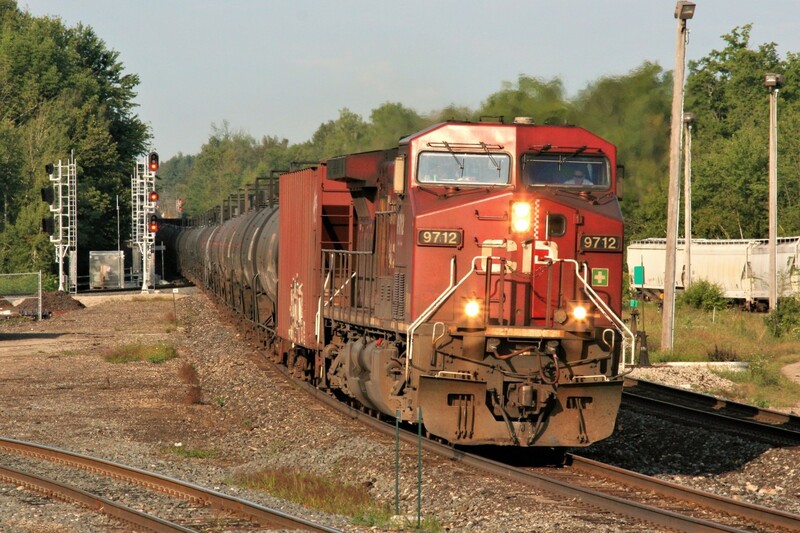 Railpictures.ca - Jason Noe Photo: A Canadian Pacific ethanol train is eastbound through Guelph Junction with 9712 and 8719 as tail-end DPU on an early August morning. | Railpictures.ca – Canadian Railway Photography – photographie ferroviaire Canadienne. Caption: A Canadian Pacific ethanol train is eastbound through Guelph Junction with 9712 and 8719 as tail-end DPU on an early August morning. Thanks for the train # Mike. Train 650 I got it at mile 25 on the Galt Sub. Thanks Jacob. We would have been not far from you that morning as we headed that way after we shot this guy. Nice. Host and I shot this just east of here at Kelso.